Introduction Eritrea was awarded to Ethiopia in 1952 as part of a federation. Ethiopia’s annexation of Eritrea as a province 10 years later sparked a 30-year struggle for independence that ended in 1991 with Eritrean rebels defeating governmental forces; independence was overwhelmingly approved in a 1993 referendum. A two-and-a-half-year border war with Ethiopia that erupted in 1998 ended under UN auspices in December 2000. Eritrea currently hosts a UN peacekeeping operation that is monitoring a 25 km-wide Temporary Security Zone (TSZ) on the border with Ethiopia. An international commission, organized to resolve the border dispute, posted its findings in 2002. However, both parties have been unable to reach agreement on implementing the decision. On 30 November 2007, the Eritrea-Ethiopia Boundary Commission remotely demarcated the border by coordinates and dissolved itself, leaving Ethiopian still occupying several tracts of disputed territory, including the town of Badme. Eritrea accepted the EEBC’s “virtual demarcation” decision and called on Ethiopia to remove its troops from the TSZ which it states is Eritrean territory. Ethiopia has not accepted the virtual demarcation decision. History The oldest written reference to the territory now known as Eritrea is the chronicled expedition launched to the fabled Punt (or Ta Netjeru, meaning land of the Gods) by the Ancient Egyptians in the twenty-fifth century BC under Pharaoh Sahure. Later sources from the Pharaoh Hatshepsut in the fifteenth century BC present a more detailed portrayal of an expedition in search of incense. The geographical location of the missions to Punt is described as roughly corresponding to the southern west coast of the Red Sea. The modern name Eritrea was first employed by the Italian colonialists in the late nineteenth century. It is the Italian form of the Greek name Erythraîa (Ερυθραία; see also List of traditional Greek place names), which derives from the Greek term for the Red Sea `Erithrá thálassa (Ἐρυθρὰ Θάλασσα). Introduction After centuries of Danish, Swedish, German, and Russian rule, Estonia attained independence in 1918. Forcibly incorporated into the USSR in 1940 – an action never recognized by the US – it regained its freedom in 1991, with the collapse of the Soviet Union. Since the last Russian troops left in 1994, Estonia has been free to promote economic and political ties with Western Europe. It joined both NATO and the EU in the spring of 2004. History Human settlement in Estonia became possible 11,000 to 13,000 years ago, when the ice from the last glacial era melted away. The oldest known settlement in Estonia is the Pulli settlement, which was located on the banks of the river Pärnu, near the town of Sindi, in southern Estonia. According to radiocarbon dating, it was settled around 11,000 years ago, at the beginning of the 9th millennium BC. A more troubled and war-ridden middle Iron Age followed with external dangers coming both from the Baltic tribes, who attacked across the southern land border, and from overseas. Several Scandinavian sagas refer to campaigns against Estonia. Estonian pirates conducted similar raids in the Viking age and sacked and burned the Swedish town of Sigtuna in 1187. In the first centuries AD political and administrative subdivisions began to emerge in Estonia. Two larger subdivisions appeared: the province (Estonian: kihelkond) and the land (Estonian: maakond). The province consisted of several elderships or villages. Nearly all provinces had at least one fortress. The defense of the local area was directed by the highest official, the king or elder. The terra was composed of one or several provinces, also headed by an elder, king or their collegium. By the 13th century the following major lands had developed in Estonia: Revala, Harjumaa, Saaremaa, Hiiumaa, Läänemaa, Alempois, Sakala, Ugandi, Jogentagana, Soopoolitse, Vaiga, Mõhu, Nurmekund, Järvamaa and Virumaa. Estonia was a part of the Livonian Confederation from 1228 to the 1560s. The country was Christianized when the German “Livonian Brothers of the Sword” conquered southern Estonia as part of the Northern Crusades in the early thirteenth century. At the same time, Denmark attempted to take possession of northern Estonia. Estonia was consolidated under the two forces by 1227. Northern Estonia remained a possession of Denmark until 1346. Reval (known as Tallinn since 1918) was given its Lübeck Rights in 1248 and joined an alliance of trading guilds called the Hanseatic League at the end of the thirteenth century. In 1343, the people of northern Estonia and Saaremaa rebelled against German rule in the St. George’s Night Uprising, which was put down by 1344. Russia attempted unsuccessful invasions in 1481 and 1558. Following the Great Northern War, the Swedish empire lost Estonia to Russia (1710 de facto, and 1721 de jure, by the Treaty of Nystad). However, the upper classes and the higher middle class remained primarily Baltic German. The war devastated the population of Estonia, but it recovered quickly. Although the rights of peasants were initially weakened, serfdom was abolished in 1816 in the province of Estonia and in 1819 in Livonia. As a result of the abolition of serfdom and the availability of education to the native Estonian-speaking population, an active Estonian nationalist movement developed in the nineteenth century. It began on a cultural level, resulting in the establishment of Estonian language literature, theatre and professional music and led into the formation of the Estonian national identity and late 1800s’ Age of Awakening. Among the leaders of the movement were Johann Voldemar Jannsen, Jakob Hurt and Carl Robert Jakobson. Significant accomplishments were the publication of the national epic, Kalevipoeg, in 1862, and the organization of the first national song festival in 1869. In response to a period of Russification initiated by the Russian empire in the 1890s, Estonian nationalism took on more political tones, with intellectuals first calling for greater autonomy, and later, complete independence from the Russian empire. Following the Bolshevik takeover of power in Russia after the October Revolution of 1917 and German victories against the Russian army, between the Russian Red Army’s retreat and the arrival of advancing German troops, the Committee of Elders of the Maapäev issued the Estonian Declaration of Independence in Pärnu on February 23 and in Tallinn on February 24, 1918. After winning the Estonian Liberation War against Soviet Russia and at the same time German Freikorps volunteers (the Tartu Peace Treaty was signed on 2 February 1920), Estonia maintained its independence for twenty-two years. Initially a parliamentary democracy, the parliament (Riigikogu) was disbanded in 1934, following political unrest caused by the global economic crisis. Subsequently the country was ruled by decree by Konstantin Päts, who became President in 1938, the year parliamentary elections resumed. The fate of the Republic of Estonia before the World War II was decided by the German-Soviet Nonaggression Pact of August 1939 after Stalin gained Hitler’s agreement to divide Eastern Europe into “spheres of special interest” according to the Molotov-Ribbentrop Pact and its Secret Additional Protocol. Meeting in Tallinn on July 17, 1940 after the July “elections”. On September 24, 1939, warships of the Red Navy appeared off Estonian ports and Soviet bombers began a patrol over Tallinn and the nearby countryside. The Estonian government was forced to give their assent to an agreement which allowed the USSR to establish military bases and station 25,000 troops on Estonian soil for “mutual defence”. On June 12, 1940, the order for a total military blockade on Estonia was given to the Soviet Baltic Fleet. On June 14, 1940, while world’s attention was focused on the fall of Paris to Nazi Germany a day earlier, the Soviet military blockade on Estonia went into effect, two Soviet bombers downed a Finnish passenger airplane “Kaleva” flying from Tallinn to Helsinki carrying three diplomatic pouches from the U.S. legations in Tallinn, Riga and Helsinki. On June 16, 1940, the Soviet Union invaded Estonia. The Red Army exited from their military bases in Estonia on June 17. The following day, some 90,000 additional troops entered the country. On June 17, 1940, The Estonian government decided, given the overwhelming Soviet force, not to resist, to avoid bloodshed and open war. The military occupation of Estonia was complete by the June 21 1940. Most of the Estonian Defence Forces and the Estonian Defence League surrendered according to the orders believing that resistance was useless and were disarmed by the Red Army. Only the Estonian Single Signal Battalion stationed in Tallinn at Raua Street continued to resist. As the Red Army brought in additional reinforcements supported by six armoured fighting vehicles, the battle lasted several hours until sundown. There was one dead, several wounded on the Estonian side and about 10 killed and more wounded on the Soviet side. Finally the military resistance was ended with negotiations and the Single Signal Battalion surrendered and was disarmed. In August 1940, Estonia was formally annexed by the Soviet Union as the Estonian SSR. Those who had failed to do their “political duty” of voting Estonia into the USSR, specifically those who had failed to have their passports stamped for voting, were condemned to death by Soviet tribunals. The repressions followed with the mass deportations carried out by the Soviets in Estonia on June 14, 1941. Many of the country’s political and intellectual leaders were killed or deported to remote areas of the USSR by the Soviet authorities in 1940-1941. Repressive actions were also taken against thousands of ordinary people. Many countries, including the United States, did not recognize the annexation of Estonia by the USSR. Such countries recognized Estonian diplomats and consuls who still functioned in many countries in the name of their former governments. These diplomats persisted in this anomalous situation until the ultimate restoration of Baltic independence. Contemporary Russian politicians, however, deny that the Republic of Estonia was illegally annexed by the Soviet Union in 1940. They state that the Soviet troops had entered Estonia in 1940 following the agreements and with the consent of the government of the Republic of Estonia, regardless of how their actions can be interpreted today. They maintain that the USSR was not in a state of war and was not waging any combat activities on the territory of Estonia, therefore there could be no occupation. The official Soviet and present Russian version claims that Estonians decided to lose their statehood voluntarily and officially describes separatist fighters of 1944-1976 as “bandits” or “nazis”. The Russian position is not recognized internationally. After the Third Reich invaded the Soviet Union on June 22, 1941,the Wehrmacht reached Estonia in (July 1941). The German Army crossed the Estonian southern border on 7th July. The Red Army retreated behind the Pärnu River- the Emajõgi line on 12 July. At the end July the Germans resumed their advance in Estonia working in tandem with the Estonian Forest Brothers. Both German troops and Estonian partisans took Narva on 17 August and the Estonian capital Tallinn on 28 August. After the Soviets were driven out from Estonia German troops disarmed all the partisan groups. Although initially the Germans were perceived by most Estonians as liberators from the USSR and its repressions, and hopes were raised for the restoration of the country’s independence, it was soon realized that they were but another occupying power. The Germans pillaged the country for the war effort and unleashed the Holocaust. For the duration of the occupation Estonia was incorporated into the German province of Ostland. This led to many Estonians, unwilling to side with the Nazis, join the Finnish Army to fight against the Soviet Union. The Finnish Infantry Regiment 200 (Estonian: soomepoisid) was formed out of Estonian volunteers in Finland. Although many Estonians were recruited in to the German armed forces (including Waffen-SS), the majority did so only in 1944 when the threat of a new invasion of Estonia by the Red Army had become imminent and it was clear that Germany could not win the war. By January 1944, the front was pushed back by the Red Army almost all the way to the former Estonian border. Narva was evacuated. Jüri Uluots, the last legitimate prime minister of the Republic of Estonia (according to the Constitution of the Republic of Estonia) prior to its fall to the Soviet Union in 1940, delivered a radio address that appealed to all able-bodied men born from 1904 through 1923 to report for military service (Before this, Jüri Uluots had opposed Estonian mobilization.) The call drew support from all across the country: 38,000 volunteers jammed registration centers. Several thousand Estonians who had joined the Finnish Army came back across the Gulf of Finland to join the newly formed Territorial Defense Force, assigned to defend Estonia against the Soviet advance. It was hoped that by engaging in such a war Estonia would be able to attract Western support for the cause of Estonia’s independence from the USSR and thus ultimately succeed in achieving independence. In the face of the country being re-occupied by the Red Army, tens of thousands of Estonians (including majority of the education, culture, science, political and social specialists) (estimates as much as 80,000) chose to either retreat together with the Germans or flee to Finland or Sweden. On 12 January 1949 the Soviet Council of Ministers issued a decree “on the expulsion and deportation” from Baltic states of “all kulaks and their families, the families of bandits and nationalists”, and others. More than 200,000 people are estimated to have been deported from the Baltic in 1940-1953. In addition, at least 75,000 were sent to Gulag. More than 10% of the entire adult Baltic population was deported or sent to Soviet labor and death camps. In response to the continuing insurgency against Soviet rule, more than 20,000 Estonians were forcibly deported either to labor camps or Siberia (see Gulag). Within the few weeks that followed, almost all of the remaining rural households were collectivized. After World War II, as part of the goal to more fully integrate Baltic countries into the Soviet Union, mass deportations were concluded in the Baltic countries and the policy of encouraging Soviet immigration to the Baltic states continued. In addition to the human and material losses suffered due to war, thousands of civilians were killed and tens of thousands of people deported from Estonia by the Soviet authorities until Joseph Stalin’s death in 1953. Half of the deported perished, the other half were not allowed to return until the early 1960s (years after Stalin’s death). The various repressive activities of Soviet forces in 1940-1941 and after reoccupation sparked a guerrilla war against the Soviet authorities in Estonia which was waged into the early 1950s by “forest brothers” (metsavennad) consisting mostly of Estonian veterans of both the German and Finnish armies as well as some civilians. Material damage caused by the world war and the following Soviet era significantly slowed Estonia’s economic growth, resulting in a wide wealth gap in comparison with neighboring Finland and Sweden. Militarization was another aspect of the Soviet regime. Large parts of the country, especially the coastal areas were restricted to all but the Soviet military. Most of the sea shore and all sea islands (including Saaremaa and Hiiumaa) were declared “border zones”. People not actually resident there were restricted from traveling to them without a permit. A notable closed military installation was the city of Paldiski which was entirely closed to all public access. The city had a support base for the Soviet Baltic Fleet’s submarines and several large military bases, including a nuclear submarine training centre complete with a full-scale model of a nuclear submarine with working nuclear reactors. The Paldiski reactors building passed into Estonian control in 1994 after the last Soviet troops left the country., Immigration was another effect of Soviet occupation. Hundreds of thousands of migrants were relocated to Estonia from other parts of Soviet Union to assist industrialization and militarization, contributing an increase of about half million people within 45 years. By 1980, when the Olympic Regatta of the 1980 Olympic Games was held in Tallinn, russification and immigration had achieved a level at which it began to spark popular protests. The United States, United Kingdom and the majority of other western democracies considered the annexation of Estonia by USSR illegal. They retained diplomatic relations with the representatives of the independent Republic of Estonia, never de jure recognized the existence of the Estonian SSR, and never recognized Estonia as a legal constituent part of the Soviet Union. Estonia’s return to independence became possible as the Soviet Union faced internal regime challenges, loosening its hold on outer empire. As the 1980s progressed, a movement for Estonian autonomy started. In the initial period of 1987-1989, this was partially for more economic independence, but as the Soviet Union weakened and it became increasingly obvious that nothing short of full independence would do, the country began a course towards self-determination. In 1989, during the “Singing Revolution”, in a landmark demonstration for more independence, called The Baltic Way, a human chain of more than two million people was formed, stretching through Lithuania, Latvia and Estonia. All three nations had similar experiences of occupation and similar aspirations for regaining independence. Estonia formally declared independence on August 20, 1991, reconstituting the pre-1940 state, during the Soviet military coup attempt in Moscow. The first country to diplomatically recognize Estonia’s reclaimed independence was Iceland. The last Russian troops left on 31 August 1994. Introduction Unique among African countries, the ancient Ethiopian monarchy maintained its freedom from colonial rule with the exception of the 1936-41 Italian occupation during World War II. In 1974, a military junta, the Derg, deposed Emperor Haile SELASSIE (who had ruled since 1930) and established a socialist state. Torn by bloody coups, uprisings, wide-scale drought, and massive refugee problems, the regime was finally toppled in 1991 by a coalition of rebel forces, the Ethiopian People’s Revolutionary Democratic Front (EPRDF). A constitution was adopted in 1994, and Ethiopia’s first multiparty elections were held in 1995. A border war with Eritrea late in the 1990’s ended with a peace treaty in December 2000. The Eritrea-Ethiopia Border Commission in November 2007 remotely demarcated the border by geographical coordinates, but final demarcation of the boundary on the ground is currently on hold due to Ethiopian objections to an international commission’s finding requiring it to surrender territory considered sensitive to Ethiopia. Human settlement in Ethiopia dates back to ancient times. Fossilized remains of the earliest ancestors to the human species, discovered in Ethiopia, have been assigned dates as long ago as 5.9 million years. Together with Eritrea and the southeastern part of the Red Sea coast of Sudan (Beja lands), it is considered the most likely location of the land known to the ancient Egyptians as Punt (or “Ta Netjeru,” meaning land of the Gods), whose first mention dates to the twenty-fifth century BC. Around the eighth century BC, a kingdom known as Dʿmt was established in northern Ethiopia and Eritrea, with its capital at Yeha in northern Ethiopia. Most modern historians consider this civilization to be a native African one, although Sabaean-influenced due to the latter’s hegemony of the Red Sea, while others view Dʿmt as the result of a mixture of “culturally superior” Sabaeans and indigenous peoples. However, Ge’ez, the ancient Semitic language of Ethiopia, is now thought not to have derived from Sabaean (also South Semitic). There is evidence of a Semitic-speaking presence in Ethiopia and Eritrea at least as early as 2000 BC. Sabaean influence is now thought to have been minor, limited to a few localities, and disappearing after a few decades or a century, perhaps representing a trading or military colony in some sort of symbiosis or military alliance with the Ethiopian civilization of Dʿmt or some other proto-Aksumite state. After the fall of Dʿmt in the fifth century BC, the plateau came to be dominated by smaller successor kingdoms, until the rise of one of these kingdoms during the first century BC, the Aksumite Kingdom, ancestor of medieval and modern Ethiopia, which was able to reunite the area. They established bases on the northern highlands of the Ethiopian Plateau and from there expanded southward. The Persian religious figure Mani listed Aksum with Rome, Persia, and China as one of the four great powers of his time. In 316 AD, a Christian philosopher from Tyre, Meropius, embarked on a voyage of exploration along the coast of Africa. He was accompanied by, among others, two Syro-Greeks, Frumentius and his brother Aedesius. The vessel was stranded on the coast, and the natives killed all the travelers except the two brothers, who were taken to the court and given positions of trust by the monarch. They both practiced the Christian faith in private, and soon converted the queen and several other members of the royal court. Upon the king’s death, Frumentius was appointed regent of the realm by the queen, and instructor of her young son, Prince Ezana. A few years later, upon Ezana’s coming of age, Aedesius and Frumentius left the kingdom, the former returning to Tyre where he was ordained, and the latter journeying to Alexandria. Here, he consulted Athanasius, who ordained him and appointed him Bishop of Aksum. He returned to the court and baptized the King Ezana, together with many of his subjects, and in short order Christianity was proclaimed the official state religion again. For this accomplishment, he received the title “Abba Selama” (“Father of peace”). At various times, including a fifty-year period in the sixth century, Aksum controlled most of modern-day Yemen and some of southern Saudi Arabia just across the Red Sea, as well as controlling southern Egypt, northern Sudan, northern Ethiopia, Eritrea, Djibouti, and northern Somalia. The line of rulers descended from the Aksumite kings was broken several times: first by the Jewish (unknown/or pagan) Queen Gudit around 950 (or possibly around 850, as in Ethiopian histories). It was then interrupted by the Zagwe dynasty; it was during this dynasty that the famous rock-hewn churches of Lalibela were carved under King Lalibela, allowed by a long period of peace and stability. Around 1270, the Solomonic dynasty came to control Ethiopia, claiming descent from the kings of Aksum. They called themselves Neguse Negest (“King of Kings,” or Emperor), basing their claims on their direct descent from Solomon and the queen of Sheba. In the early fifteenth century Ethiopia sought to make diplomatic contact with European kingdoms for the first time since Aksumite times. A letter from King Henry IV of England to the Emperor of Abyssinia survives. In 1428, the Emperor Yeshaq sent two emissaries to Alfons V of Aragon, who sent return emissaries that failed to complete the return trip. The first continuous relations with a European country began in 1508 with Portugal under Emperor Lebna Dengel, who had just inherited the throne from his father. This proved to be an important development, for when the Empire was subjected to the attacks of the Adal General and Imam, Ahmad ibn Ibrihim al-Ghazi (called “Grañ”, or “the Left-handed”), Portugal responded to Lebna Dengel’s plea for help with an army of four hundred men, who helped his son Gelawdewos defeat Ahmad and re-establish his rule. However, when Emperor Susenyos converted to Roman Catholicism in 1624, years of revolt and civil unrest followed resulting in thousands of deaths. The Jesuit missionaries had offended the Orthodox faith of the local Ethiopians, and on June 25, 1632 Susenyos’ son, Emperor Fasilides, declared the state religion to again be Ethiopian Orthodox Christianity, and expelled the Jesuit missionaries and other Europeans. All of this contributed to Ethiopia’s isolation from 1755 to 1855, called the Zemene Mesafint or “Age of Princes.” The Emperors became figureheads, controlled by warlords like Ras Mikael Sehul of Tigray, and later by the Oromo Yejju dynasty. Ethiopian isolationism ended following a British mission that concluded an alliance between the two nations; however, it was not until 1855 that Ethiopia was completely reunited and the power in the Emperor restored, beginning with the reign of Emperor Tewodros II. Upon his ascent, despite still large centrifugal forces, he began modernizing Ethiopia and recentralizing power in the Emperor, and Ethiopia began to take part in world affairs once again. By the 1880s, Sahle Selassie, as king of Shewa, and later as Emperor Menilik II began expanding his kingdom to the South and East, expanding into areas that hadn’t been held since the invasion of Ahmed Gragn, and other areas that had never been under Ethiopian rule, resulting in the borders of Ethiopia still existing today. The 1880s were marked by the Scramble for Africa and modernization in Ethiopia, when the Italians began to vie with the British for influence in bordering regions. Asseb, a port near the southern entrance of the Red Sea, was bought in March 1870 from the local Afar sultan, vassal to the Ethiopian Emperor, by an Italian company, which by 1890 led to the Italian colony of Eritrea. Conflicts between the two countries resulted in the Battle of Adwa in 1896, whereby the Ethiopians surprised the world by defeating Italy and remaining independent, under the rule of Menelik II. Italy and Ethiopia signed a provisional treaty of peace on October 26, 1896. The early twentieth century was marked by the reign of Emperor Haile Selassie I,who came to power after Iyasu V was deposed. It was he who undertook the modernization of Ethiopia, from 1916, when he was made a Ras and Regent (Inderase) for Zewditu I and became the de facto ruler of the Ethiopian Empire. Following Zewditu’s death he was made Emperor on 2 November 1930. The independence of Ethiopia was interrupted by the Second Italo-Abyssinian War and Italian occupation (1936–1941). Some of Ethiopia’s infrastructure (roads most importantly) was built by the fascist Italian occupation troops (not by corvee) between 1937 and 1940. Following the entry of Italy into World War II, the British Empire forces together with patriot Ethiopian fighters liberated Ethiopia in the course of the East African Campaign (World War II) in 1941, which was followed by sovereignty on January 31, 1941 and British recognition of full sovereignty (i.e. without any special British privileges) with the signing of the Anglo-Ethiopian Agreement in December 1944. During 1942 and 1943 there was an Italian guerrilla war in Ethiopia. On August 26, 1942 Haile Selassie I issued a proclamation outlawing slavery. In 1952 Haile Selassie orchestrated the federation with Eritrea which he dissolved in 1962. This annexation sparked the Eritrean War of Independence. Although Haile Selassie was seen as a national and African hero, opinion within Ethiopia turned against him due to the worldwide oil crisis of 1973, food shortages, uncertainty regarding the succession, border wars, and discontent in the middle class created through modernization. Haile Selassie’s reign came to an end in 1974, when a pro-Soviet Marxist-Leninist military junta, the “Derg” led by Mengistu Haile Mariam, deposed him, and established a one-party communist state. The ensuing regime suffered several coups, uprisings, wide-scale drought, and a massive refugee problem. In 1977, there was the Ogaden War, but Ethiopia quickly defeated Somalia with a massive influx of Soviet military hardware and a Cuban military presence coupled with East Germany and South Yemen the following year. Hundreds of thousands were killed due to the red terror, forced deportations, or from using hunger as a weapon. In 2006, after a long trial, Mengistu was found guilty of genocide. In 1993 a referendum was held & supervised by the UN mission UNOVER, with universal suffrage and conducted both in and outside Eritrea (among Eritrean communities in the diaspora), on whether Eritreans wanted independence or unity with Ethiopia. Over 99% of the Eritrean people voted for independence which was declared on May 24, 1993. In 1994, a constitution was adopted that led to Ethiopia’s first multi-party elections in the following year. In May 1998, a border dispute with Eritrea led to the Eritrean-Ethiopian War that lasted until June 2000. This has hurt the nation’s economy, but strengthened the ruling coalition. On May 15, 2005, Ethiopia held another multiparty election, which was a highly disputed one with some opposition groups claiming fraud. Though the Carter center appreciated the preelection conditions, it has expressed its dissatisfaction with postelection matters. The 2005 EU election observers continued to accuse the ruling party of vote rigging. Many from the international community are divided about the issue with Irish officials accusing the 2005 EU election observers of corruption for the “inaccurate leaks from the 2005 EU election monitoring body which led the opposition to wrongly believe they had been cheated of victory.” In general, the opposition parties gained more than 200 parliament seats compared to the just 12 in the 2000 elections. Despite most opposition representatives joining the parliament, some leaders of the CUD party are in jail following the post-election violence. Amnesty International considers them “prisoners of conscience”. September 12, 2007 on the Gregorian calendar marked the beginning of the year 2000 on the Ethiopian calendar. Politics Politics of Ethiopia takes place in a framework of a federal parliamentary republic, whereby the Prime Minister is the head of government. Executive power is exercised by the government. Federal legislative power is vested in both the government and the two chambers of parliament. On the basis of Article 78 of the 1994 Ethiopian Constitution, the Judiciary is completely independent of the executive and the legislature. The current realities of this provision are questioned in a report prepared by Freedom House (see discussion page for link). According to The Economist in its Democracy Index, Ethiopia is a “hybrid regime” situated between a “flawed democracy” and an “authoritarian regime”. It ranks 106 out of 167 countries (with the larger number being less democratic). Cambodia ranks as more democratic at 105, and Burundi as less democratic at 107, than Ethiopia. The election of Ethiopia’s 547-member constituent assembly was held in June 1994. This assembly adopted the constitution of the Federal Democratic Republic of Ethiopia in December 1994. The elections for Ethiopia’s first popularly-chosen national parliament and regional legislatures were held in May and June 1995 . Most opposition parties chose to boycott these elections. There was a landslide victory for the Ethiopian People’s Revolutionary Democratic Front (EPRDF). 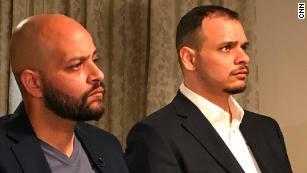 International and non-governmental observers concluded that opposition parties would have been able to participate had they chosen to do so. The current government of Ethiopia was installed in August 1995. The first President was Negasso Gidada. The EPRDF-led government of Prime Minister Meles Zenawi promoted a policy of ethnic federalism, devolving significant powers to regional, ethnically-based authorities. Ethiopia today has nine semi-autonomous administrative regions that have the power to raise and spend their own revenues. Under the present government, some fundamental freedoms, including freedom of the press, are circumscribed. Citizens have little access to media other than the state-owned networks, and most private newspapers struggle to remain open and suffer periodic harassment from the government. At least 18 journalists who had written articles critical of the government were arrested following the 2005 elections on genocide and treason charges. The government uses press laws governing libel to intimidate journalists who are critical of its policies. Zenawi’s government was elected in 2000 in Ethiopia’s first ever multiparty elections; however, the results were heavily criticized by international observers and denounced by the opposition as fraudulent. The EPRDF also won the 2005 election returning Zenawi to power. Although the opposition vote increased in the election, both the opposition and observers from the European Union and elsewhere stated that the vote did not meet international standards for fair and free elections. Ethiopian police are said to have massacred 193 protesters, mostly in the capital Addis Ababa, in the violence following the May 2005 elections in the Ethiopian police massacre. The government initiated a crackdown in the provinces as well; in Oromia state the authorities used concerns over insurgency and terrorism to use torture, imprisonment, and other repressive methods to silence critics following the election, particularly people sympathetic to the registered opposition party Oromo National Congress (ONC). Introduction The population of the Faroe Islands is largely descended from Viking settlers who arrived in the 9th century. The islands have been connected politically to Denmark since the 14th century. A high degree of self-government was attained in 1948. History The early history of the Faroe Islands is not well-known. Irish hermits (monks) settled in the sixth century, introducing sheep and oats and the early Irish language to the islands. Saint Brendan, who lived circa 484–578, is said to have visited the Faroe Islands on two or three occasions (512-530 AD), naming two of the islands Sheep Island and Paradise Island of Birds. Later (~650 AD) the Vikings replaced the early Irish and their settlers, bringing the Old Norse language to the islands, which locally evolved into the modern Faroese language spoken today. The settlers are not thought to have come directly from Norway, but rather from the Norwegian settlements in Shetland, Orkney, and around the Irish Sea, and to have been so-called Norse-Gaels. According to Færeyinga Saga, emigrants who left Norway to escape the tyranny of Harald I of Norway settled in the islands about the end of the ninth century. Early in the eleventh century, Sigmund, whose family had flourished in the southern islands but had been almost exterminated by invaders from the northern islands, escaped to Norway and was sent back to take possession of the islands for Olaf Tryggvason, king of Norway. He introduced Christianity and, though he was subsequently murdered, Norwegian supremacy was upheld. Norwegian control of the islands continued until 1380, when Norway entered the Kalmar Union with Denmark, which gradually evolved into Danish control of the islands. The reformation reached the Faroes in 1538. When the union between Denmark and Norway was dissolved as a result of the Treaty of Kiel in 1814, Denmark retained possession of the Faroe Islands. The trade monopoly in the Faroe Islands was abolished in 1856 and the country has since then developed towards a modern fishing nation with its own fleet. The national awakening since 1888 was first based on a struggle for the Faroese language, and thus more culturally oriented, but after 1906 was more and more politically oriented with the foundation of the political parties of the Faroe Islands. On April 12, 1940, the Faroes were occupied by British troops. The move followed the invasion of Denmark by Nazi Germany and had the objective of strengthening British control of the North Atlantic (see Second Battle of the Atlantic). In 1942–43 the British Royal Engineers built the only airport in the Faroes, Vágar Airport. Control of the islands reverted to Denmark following the war, but in 1948 a home-rule regime was implemented granting a high degree of local autonomy. The Faroes declined to join Denmark in entering the European Community (now European Union) in 1973. The islands experienced considerable economic difficulties following the collapse of the fishing industry in the early 1990s, but have since made efforts to diversify the economy. Support for independence has grown and is the objective of the government. Introduction Although ultimately a victor in World Wars I and II, France suffered extensive losses in its empire, wealth, manpower, and rank as a dominant nation-state. Nevertheless, France today is one of the most modern countries in the world and is a leader among European nations. Since 1958, it has constructed a hybrid presidential-parliamentary governing system resistant to the instabilities experienced in earlier more purely parliamentary administrations. In recent years, its reconciliation and cooperation with Germany have proved central to the economic integration of Europe, including the introduction of a common exchange currency, the euro, in January 1999. At present, France is at the forefront of efforts to develop the EU’s military capabilities to supplement progress toward an EU foreign policy. The borders of modern France are approximately the same as those of ancient Gaul, which was inhabited by Celtic Gauls. Gaul was conquered for Rome by Julius Caesar in the 1st century BC, and the Gauls eventually adopted Roman speech (Latin, from which the French language evolved) and Roman culture. Christianity took root in the 2nd and 3rd centuries AD, and became so firmly established by the fourth and fifth centuries that St. Jerome wrote that Gaul was the only region “free from heresy”. In the 4th century AD, Gaul’s eastern frontier along the Rhine was overrun by Germanic tribes, principally the Franks, from whom the ancient name of “Francie” was derived. The modern name “France” derives from the name of the feudal domain of the Capetian Kings of France around Paris. The Franks were the first tribe among the Germanic conquerors of Europe after the fall of the Roman Empire to convert to Catholic Christianity rather than Arianism (their King Clovis did so in 498) ; thus France obtained the title “Eldest daughter of the Church” (La fille ainée de l’Église) , and the French would adopt this as justification for calling themselves “the Most Christian Kingdom of France”. Existence as a separate entity began with the Treaty of Verdun (843) , with the division of Charlemagne’s Carolingian empire into East Francia, Middle Francia and Western Francia. Western Francia approximated the area occupied by modern France and was the precursor to modern France. The Carolingians ruled France until 987, when Hugh Capet, Duke of France and Count of Paris, was crowned King of France. His descendants, the Direct Capetians, the House of Valois and the House of Bourbon, progressively unified the country through a series of wars and dynastic inheritance. The monarchy reached its height during the 17th century and the reign of Louis XIV. At this time France possessed the largest population in Europe (see Demographics of France) and had tremendous influence over European politics, economy, and culture. French became, and remained for some time, the common language of diplomacy in International affairs. Much of the Enlightenment occurred in French intellectual circles, and major scientific breakthroughs were achieved by French scientists in the 18th century. In addition, France obtained many overseas possessions in the Americas, Africa and Asia. Though ultimately a victor in World War I, France suffered enormous human and material losses that weakened it for decades to come. The 1930s were marked by a variety of social reforms introduced by the Popular Front government. At the start of World War II, France held a series of unsuccessful rescue campaigns in Norway, Belgium and The Netherlands from 1939 to 1940. Upon the May-June 1940 Nazi German blitzkrieg and its Fascist Italian support, France’s political leadership disregarded Churchill’s proposal of a Franco-British Union and signed the Second Armistice at Compiègne on 22 June 1940. The Germans established a puppet regime under Marshal Philippe Pétain known as Vichy France, which pursued a policy of collaboration with Nazi Germany. The regime’s opponents formed the Free French Forces outside of France and the French Resistance inside. France was liberated with the joint effort of the United States, the United Kingdom, Canada, the Free French Forces and the French resistance in 1944. Soon the Nouvelle Armée Française (“new French army”) was established with the massive help of US-built material and equipment, and pursued the fight along the Allies in various battles including the campaign of Italy. The debate over whether or not to keep control of Algeria, then home to over one million European settlers, wracked the country and nearly led to civil war. In 1958, the weak and unstable Fourth Republic gave way to the Fifth Republic, which contained a strengthened Presidency. In the latter role, Charles de Gaulle managed to keep the country together while taking steps to end the war. The Algerian War and Franco-French civil war that resulted in the capital Algiers, was concluded with peace negotiations in 1962 that led to Algerian independence. “He is irrational, he is unhinged, and I think he has done a lot of damage” to the U.S.-Saudi relationship, Graham said. 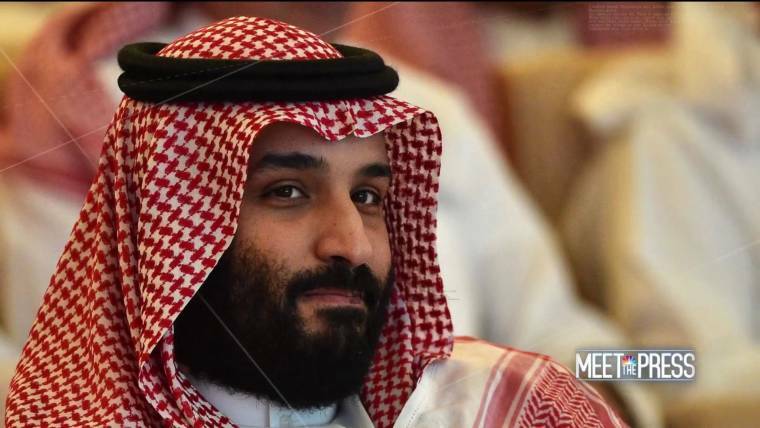 WASHINGTON — Republican Senator Lindsey Graham on Sunday harshly condemned Saudi Crown Prince Mohammed bin Salman over his alleged role in the killing of journalist Jamal Khashoggi, calling him “unhinged” and pointedly refusing to work with the prince in the future. “The fact that he didn’t know about it is impossible for me to believe,” Graham said on Sunday’s “Meet The Press.” The South Carolina senator said he hasn’t been given an official briefing on the matter, but maintained that the conclusion that the crown prince had a role in Khashoggi’s murder should be clear to anyone with knowledge about the country. 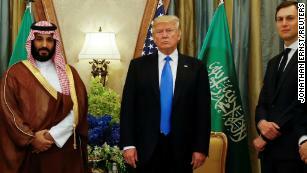 The United States announced sanctions this week against 17 Saudi Arabian officials over the killing of Khashoggi at the Saudi consulate in Istanbul, Turkey. NBC News reported on Friday that the CIA has concluded that the crown prince himself ordered the assassination. Graham’s language on Saudi Arabia stands in stark contrast to President Trump, who repeatedly told “Fox News Sunday” this weekend that the crown prince has continually denied involvement in the incident. Graham also maintained that the Saudi ambassador to the U.S., the crown prince’s brother, Prince Khalid Bin Salman, should not be allowed back in to the United States as ambassador. 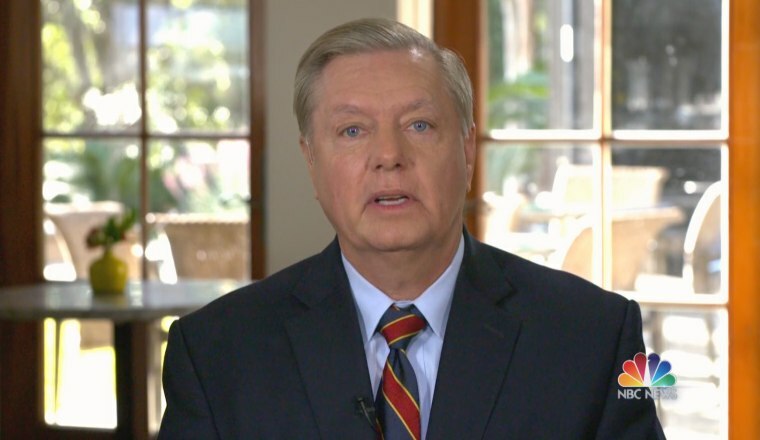 Also on “Meet The Press,” Graham publicly called on the president to move forward on the issue of criminal justice reform, asking him to “pick up the phone” and lobby Senate Majority Leader Mitch McConnell to bring their bill on the issue to the floor. “The Republicans are the problem here, not the Democrats,” Graham said.